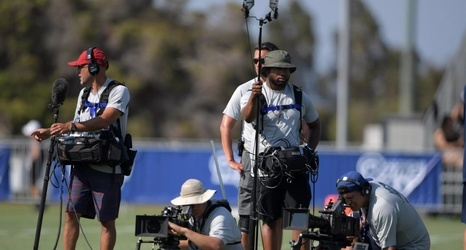 HBO’s “Hard Knocks” is neat behind-the-scenes look at NFL training camps and the drama behind roster decisions as teams prepare for the upcoming regular season. However, many teams don’t like having cameras all over the facility, prying their way into the team’s fortress of secrecy. NFL teams obsess with not giving away any information, whether it be how they practice or how they come to make organizational moves. As a result, teams have started to turn down invitations to do “Hard Knocks.” In response, the NFL made a series of stipulations that, if everyone else turns down “Hard Knocks,” certain teams would not be able to decline.